2.Economic - add ultimate off-road capability to your"normal" ATV,UTV or 4X4. 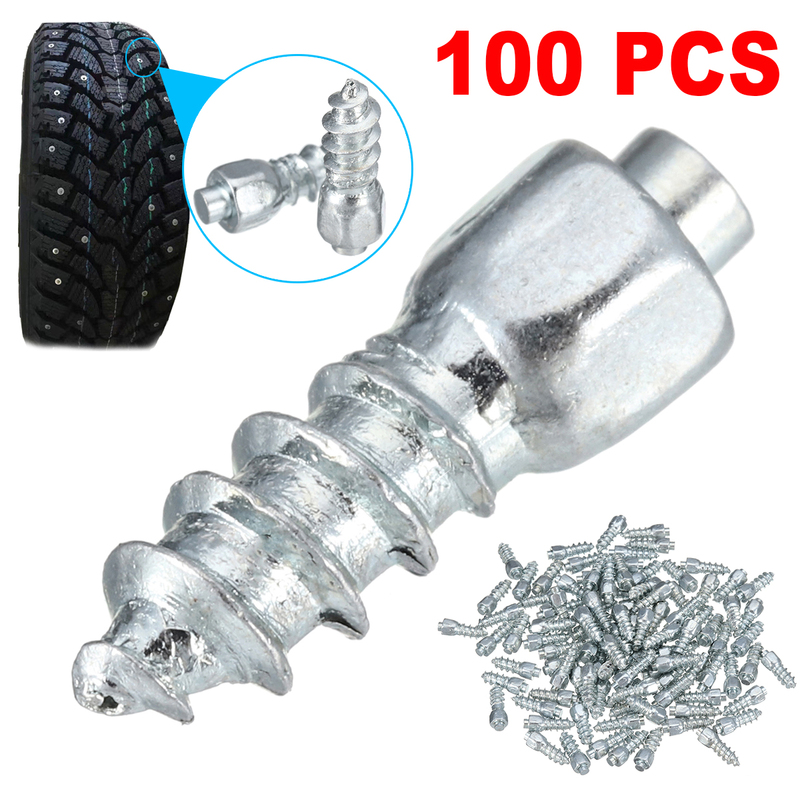 3.100 X Durable Vehicles Off-Road Wheel Tyres 12mm Tire Snow Chains Spikes Studs. 4.The new style screw in tire studs can be easily installed and removed without professional tools. 6.It can also be disassembled according to the reason, When not in use, it could be removed lightly and stored for using again in the following season. Thank you for the order arrived fast. Restored two wheels. Hold on tight. Very happy.